WASHINGTON — The Supreme Court on Monday agreed to consider Virginia’s plea to reinstate the life-without-parole sentence of a man who as a teenager participated in sniper shootings that terrorized the Washington, D.C., region in 2002. 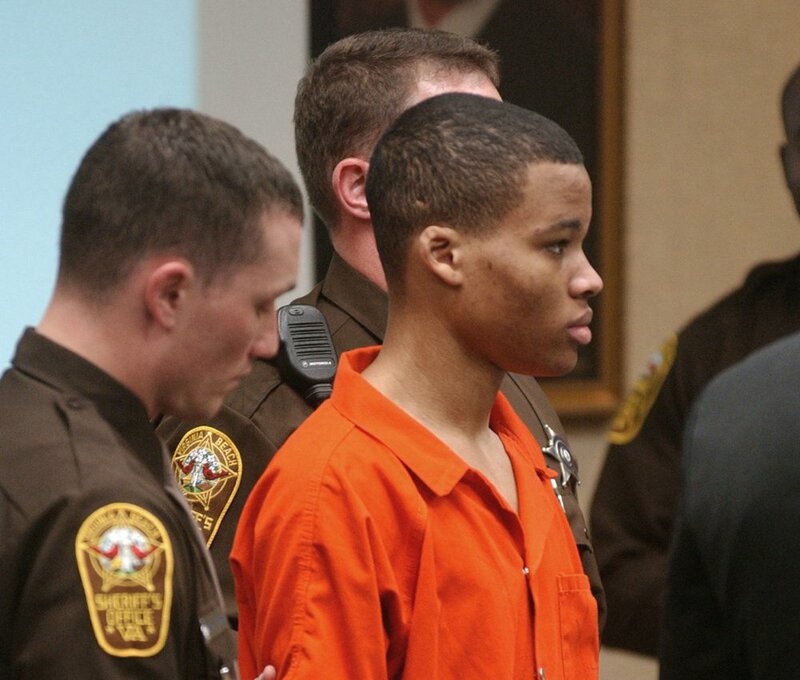 The justices said they will take up the state’s appeal in the case of Lee Boyd Malvo, who was 17 when he and John Allen Muhammad fatally shot 10 people in Maryland, Virginia and Washington. Malvo was sentenced to life-without-parole terms in Virginia and in Maryland, and Muhammad was sentenced to death and was executed in 2009. Malvo was sentenced to four life terms for crimes he committed in Virginia. But the U.S. Court of Appeals for the Fourth Circuit ruled last year that while Malvo’s life-without-parole sentences were legal when they were imposed, Supreme Court decisions that followed altered sentencing requirements for juvenile offenders. The appeals court judges said a resentencing would determine whether Malvo qualifies as “one of the rare juvenile offenders” who can be sentenced to life without the possibility of parole because his “crimes reflect permanent incorrigibility.” They said if his crimes instead “reflect the transient immaturity of youth” he’s entitled to a sentence short of life without parole. The Supreme Court will review that decision. As is typical, the justices did not make any comment in agreeing to hear the case, which likely will be heard in the fall. Regardless of what the Supreme Court decides, Malvo isn’t getting out of prison anytime soon. He isn’t currently getting a new sentencing hearing in Maryland, where he struck a plea deal and was sentenced to six life-without-parole prison terms for shootings that took place in that state. A judge previously ruled that Malvo would not get new sentencing hearings in Maryland. Malvo has appealed. Malvo has been serving his sentences at Red Onion State Prison in Pound, Virginia. Malvo and his mentor Muhammad, who was 41, shot people as they pumped gas, loaded packages into their cars and went about their everyday business during a three-week period.